Nationality: American. Born: Salt Lake City, Utah, 23 April 1893. Family: Married 1) Rena Rogers (divorced 1945); 2) Edna Marie Stillwell, 1945 (divorced 1949); 3) Juanita Borzage. Career: Joined theatrical touring company as prop boy, 1906; moved to California, 1912; actor in many Ince Westerns and Mutual Comedies, 1913–15; began directing for Universal, 1916; signed to MGM, 1935–42; joined Republic Pictures as producer-director, 1945. Awards: Oscars for Best Director, for Seventh Heaven , 1927/28, and Bad Girls , 1931/32. Died: Of cancer in Los Angeles, 19 June 1962. The First Year ; The Dixie Merchant ; Early to Wed ; Marriage License? Article in Motion Picture Directing: The Facts and Theories of the Newest Art , by Peter Milne, New York, 1922. Interview with V. Tully, in Vanity Fair (New York), February 1927. "What's Wrong with the Movies?," in Motion Picture (New York), September 1933. Kyrou, Ado, Amour, éroticisme et cinéma , Paris, 1957. Belton, John, The Hollywood Professionals Vol.3 , New York, 1974. Lamster, Frederick, Souls Made Great through Love and Adversity: The Film Work of Frank Borzage , Metuchen, New Jersey, 1981. Dumont, Hervé, Frank Borzage: Sarastro à Hollywood , Paris, 1993. Agel, Henri, "Frank Borzage," in New York Film Bulletin , no. 12–14, 1961. Obituary in New York Times , 20 June 1962. Sarris, Andrew, "Second Line," in Film Culture (New York), Spring 1963. Belton, John, "Souls Made Great by Love and Adversity: Frank Borzage," in Monogram (London), no. 4, 1972. Beylie, Claude, "Sur cinq films de Frank Borzage," in Ecran (Paris), September 1976. Camper, Fred, "Disputed Passage," in Cinema (London), v. 9, no. 10. Toulet, E., and Michel Ciment, "Avignon 1986: Panoramique du cinéma 1915–1920. Ford et Borzage," in Positif (Paris), September 1987. Bourget, J.-L., "L'or et l'amour," in Positif (Paris), no. 344, October 1989. Hommel, M., "De ziel van Hollywood," in Skrien (Amsterdam), no. 180, October-November 1991. Griffithiana (Gemona), no. 46, December 1992. Gunning, T., "Essays in Mad Love," in Sight and Sound (London), vol. 3, January 1993. Tobin, Y. and others, "Frank Borzage," in Positif (Paris), special section, no. 386, April 1993. Katchmer, G., "Remembering the Great Silents," in Classic Images (Muscatine), no. 220, October 1993. Landrot, Marine, "Le septième art au septième ciel," in Télérama (Paris), 24 November 1993. Jones, Kent, "The Sanctum Sanctorum of Love," Film Comment (Denville, New Jersey), vol. 33, no. 5, September-October 1997. Frank Borzage had a rare gift of taking characters, even those who were children of violence, and fashioning a treatment of them abundant with lyrical romanticism and tenderness, even a spirituality that reformed them and their story. 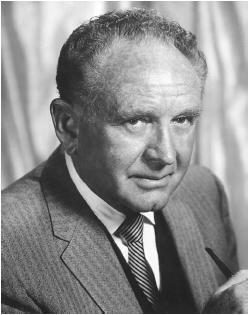 Borzage arrived in Hollywood in 1913, and Thomas H. Ince gave him his first small roles as a film actor, gradually promoting him to lead roles and providing him with his first opportunities to direct. He usually played the romantic lead in Westerns and romantic melodramas with such Triangle players as Sessue Hayakawa ( The Typhoon and Wrath of the Gods , both 1914) and Olive Thomas ( Toton , 1919). The first really important feature he directed was Humoresque , written by Frances Marion from a Fannie Hurst story. It had all the elements which were later to stamp a picture as a Borzage film—hope, love, and faith in oneself and others in a world that was poverty-stricken and could be cruel. It won Photoplay Magazine 's award as Best Picture of the year. Borzage insisted that "real art is simple, but simplicity requires the greatest art," adding that "naturalness is the primary requisite of good acting. I like my players to perform as though there were no camera on the set." Borzage did exceedingly well at Paramount's Cosmopolitan and at First National, where he directed two Norma Talmadge favorites, Secrets and The Lady. He then moved over to Fox, where, with the 1927 release of Seventh Heaven , he established himself as one of the best in the business. He directed two others with Janet Gaynor and Charles Farrell, Street Angel and Lucky Star. His The River of 1928, starring Farrell, is a virtual cinematic poem. In 1929 Borzage directed his first all-talking feature, They Had to See Paris , which starred Will Rogers, Fox's number one box-office star. The year 1933 was probably Borzage's finest as a director, for he made three films which still rate as superb examples of the romantic cinema: A Farewell to Arms , from the Hemingway novel, with Gary Cooper and Helen Hayes; Mary Pickford's final and very best film, a re-make of the silent-era Secrets , which had originally starred Norma Talmadge; and Man's Castle , with Spencer Tracy and Loretta Young, a very moving romance. There was a lasting tenderness about Borzage's treatment of a love story, and during the days of the Depression and the rise of Fascism, his pictures were ennobling melodramas about the power of love to create a heaven on earth. Penelope Gilliatt has remarked that Borzage "had a tenderness rare in melodrama and absolute pitch about period. He understood adversity." Outside of Griffith, there has never been another director in the business who could so effectively triumph over sentimentality, using true sentiment with an honest touch. Borzage made four films with Margaret Sullavan that clearly indicated that she was the quintessential heroine for Borzage films: Little Man, What Now? , a study of love in the midst of deprivation and the growing terror in Germany; Three Comrades , in which Sullavan played an ill-fated tubercular wife; The Shining Hour , which featured her as a self-sacrificing woman; and The Mortal Storm , a moving film of the imminent battle with the Nazi forces. Borzage also directed three other films during this time of stress that were extraordinary departures for him: Desire , a sleek romance in the Lubitsch tradition, starring Marlene Dietrich and Gary Cooper; Mannequin , co-starring Joan Crawford with Spencer Tracy, one of their best; and a drama that combined romance with effective disaster, History Is Made at Night , with Jean Arthur and Charles Boyer as lovers trapped in a Titanic-like explosion of violence. While in the case of Desire Ernst Lubitsch was producer, the picture features touches that are just as indicative of Borzage as they are of Lubitsch, for both were masters of cinematic subtlety. In the post-war period, it began to be clear that Borzage's career was on the wane. His best picture during this era was Moonrise.